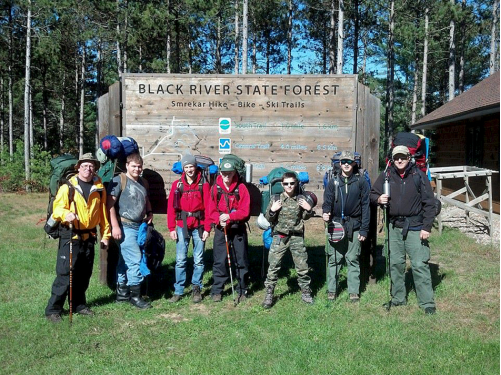 DeKALB – Boy Scouts from Troop 33 in DeKalb enjoyed a backpacking trip at the Black River State Forest in Wisconsin. Scouts carried food, water, bedding, tents, clothing, plus cooking utensils and stoves on their backs. They chose their items carefully, packing only what they needed. A few climbs brought them to high points with amazing views where scouts could look for miles in all directions. It gave them a sense of achievement and an appreciation for the beauty of the wilderness. They practiced “leave no trace”, a low-impact outdoor ethic that promotes conservation in the outdoors. They learned to better appreciate the outdoors while they had fun, strengthened bonds, and shared positive experiences, all fueled by youthful energy and a sense of adventure.